Organised by the Ecclesiastical Affairs Department of the state government, the meeting was specially convened to distribute the ‘token grant’ given to all religious Institutions. The grants were distributed by the CM to the managing committees of nine religious institutions. 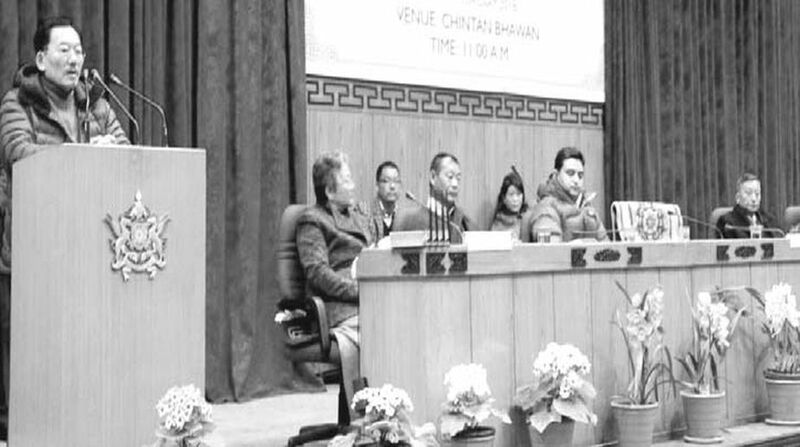 The CM said that the objective of the meeting was to make the people realize how the government has been distributing Grant in Aid to support all religions in Sikkim. “Physical health, emotional health, mental health and spiritual health are four things we need to have a balanced life. Among the four, religion influences emotion, mental and spiritual health of an individual,” he said. According to the CM, religion should be used as a medicine to cure social distractions and distortions. “We should not let religion divide our society. Religion is a sensitive thing and should be used for our wellbeing, rather it should be used as an adhesive,” he added. He also said that his government, in its long tenure, has always given all religions due respect and acknowledgement. “We are imparting modern education in our monastic schools that they have overall knowledge and can face the competitive world. We will soon be regularising our monastic teachers and Sanskrit teachers. Sikkim is the only state which has an Ecclesiastical Department and separate fund to safeguard all religions,” Mr Chamling said. According to him, his government is managing the funds from the “non-plan budget,” which comes mainly from the government’s own revenue. “We cannot use a single pie from the plan fund of the Central government. There should be no confusion about this,” he stressed. He also said that there are over 1000 Hindu places of worship in Sikkim. “On 8 February, we are laying the foundation stone for a statue of Lord Parshuram at Barang, Lower Tumin. This will be the tallest and biggest statue of Lord Parshuram in the country. I invite everyone to this historic function,” he said. He further said that his government has established numerous churches that have state with state-of-the-art architecture. 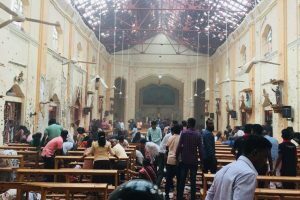 “Likewise, the government has developed several places of worship of Yuma religion (Limboo).” The Chief Minister further announced that from now on, religious institutions and places of worship which are not registered will not be given Grant in Aid by the government. He urged the managing committees to register themselves at the earliest.